Travis Fiser has been introduced as a member of the Class of 2019 in the Virginia Chapter of the National Wrestling Hall of Fame. Fiser will enter the hall with the Lifetime Service to Wrestling award at the honors banquet on April 27. Fiser is the Head Coach of the Grundy Wrestling Club and his Grundy high school team just won their fourth consecutive Virginia state title and seventh in the last eight years. Fiser was a 1A State Runner-Up at 167 lbs. in 1987 at Iowa Valley High School in Marengo, Iowa. He then achieved Junior College All-American status at Kirkwood Community College in Cedar Rapids, IA in 1989. 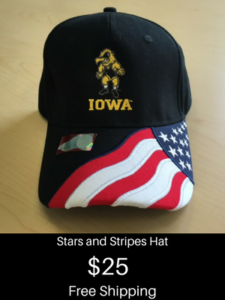 Fiser was then a member of the 1991 and 1992 NCAA national championship teams of Dan Gable at the University of Iowa. I still consider the 1991 and 1992 Iowa teams to be the best wrestling teams in the history of college wrestling. Fiser was a two-time All-American at 190 lbs. when he placed 6th in 1991 and 5th in 1992. 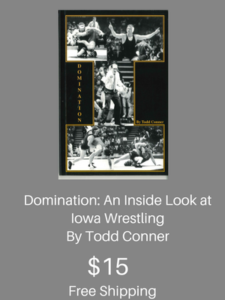 Fisher then competed for the Hawkeye Wrestling Club and became the Iowa Wrestling Strength and Conditioning Coach. Fiser has been coaching at Grundy since the 1996-97 season. Fiser’s son Gabe Fiser, a senior at 152 lbs., just won his fourth state title for Grundy and is being recruited by Iowa, Virginia Tech, and Coe College.